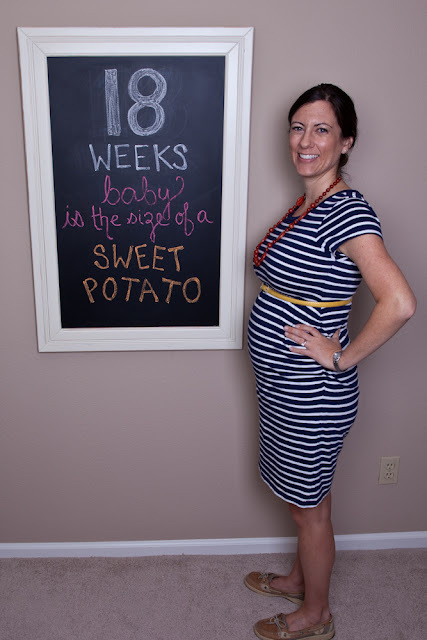 At 18 Weeks I was feeling great! Second trimester is the best thing ever! I feel so happy all of the time, and it’s so nice having more energy to do things. I also finally got my sushi fix with some cooked rolls this week, yum! Week 19 was an incredible week of travel including our heavenly vacay to Tortola and a long weekend in Dallas for a wedding. I had a bit of nausea this week but I attribute it to the tons of travel and changes in schedule. 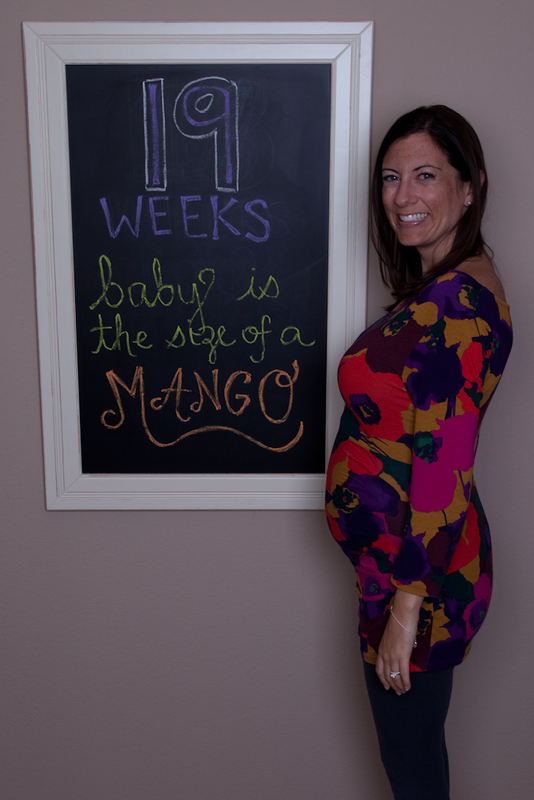 It's so much fun having an actual bump! A sweet woman actually stopped me at the airport last night and said my bump was super cute! Max makes fun of me because I will stare at it in any window or mirror we pass by. I just can't help it! You look great. I especially love that flower printed shirt!!! Love the birthday anniversary!! You look great and I'm totally jealous of your fun trip!